However, it is important to understand that the teeth straightening process entirely depends on the patient’s current oral health situation. Such issues will be investigated and addressed during your free consultation with one of our specialist orthodontists. Although not used by us Propel Alveocentesis is a method of teeth straightening available via various cosmetic dental practises. This method stimulates the bone around the teeth in order to increase cytokine activity. This process aids the remodelling of the bone, making the process faster, easier and has the alleged benefit of being able to target specific teeth if/when necessary. Alveocentesis isn’t a procedure recommended by Splash Orthodontics as there is no real evidence supporting it as a credible teeth straightening process. This is another method that we don’t use here at Splash Orthodontics, but is widely available online. The AcceleDent Method incorporates a hands-free technical device that uses gentle pulsing technology to speed-up the straightening process according to the fit of your braces. This process involves the patient wearing an activator for around 20 minutes a day, with the device fitting around the braces, or appliances your orthodontist has previously applied. The AcceleDent Method isn’t a procedure recommended by Splash Orthodontics as there is no real evidence supporting it as a credible teeth straightening process. Another popular method focuses on removing tooth tissue between the patient’s teeth. In short, this provides space for the teeth to then move into, forming a clear, aesthetically pleasing tooth formation. It is worth noting that all the above treatments require the use of a retainer for 6 months (on average) once alignment is achieved. This is because the bone needs time to recover and comfortably set itself to accommodate for the new positions of the teeth. Obviously, within this period it is essential that you keep on top of your oral health. Your orthodontist will provide their expert advice on which products to use and other necessary aftercare suggestions. How Much is Teeth Straightening? Please be aware that these prices are based on averages across the UK and do not reflect our independent pricing. Our prices vary depending on the patient’s current condition and numerous other factors that will be addressed once you arrange a free consultation with one of our orthodontists. 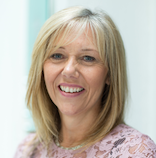 For further information on the costs of our teeth straightening procedures, click here, or if you’d like to book in a free consultation with our friendly staff, do not hesitate to get in touch! Many people are constantly weighing up the pros and cons between braces and Invisalign treatments. While both are fantastic ways to address concerns over one’s oral hygiene and aestheticism, it’s important to understand the functions of both concepts before you commit to either one. Braces are by far the more traditional way of re-aligning a patient’s teeth. Braces are made up of metal brackets that are glued to the front of your teeth and held in place by wires and rubber bands. Braces have evolved over time, with patients now being able to select colours that either match their enamel, or any colour they desire. The main selling point of Invisalign is that they’re designed to be invisible. Invisalign works by creating aligner trays that are made from smooth, BPA-free clear plastic which you then place over your teeth. The trays subtly and gently move your teeth into the desired positions. Your orthodontist will perform a series of x-rays and impressions in order to design aligner trays that will best suit your mouth. Straightening your teeth is extremely helpful in keeping your gums healthy, as the straightening process helps the gums form a more natural formation around the teeth. This not only encourages a healthier gum structure but the straightening helps defend against periodontal problems. Teeth become easier to clean when their formation is straightened. These areas are then very hard to clean and provide small, dark, moist crevices in which sugar, plaque and bacteria can gather. This can then cause tooth decay, gum disease and bad breath. Furthermore, the build-up of bacteria in our mouths can cause our immune systems to be placed under strain, meaning we are more susceptible to a large range of problems. Teeth that aren’t straight are more likely to develop plaque and there is an increased chance of oral hygiene decline. Straight teeth allow for smooth brushing and easier upkeep. It’s no surprise that having a clean, healthy set of teeth will improve your confidence and general appearance. Many people are now opting to have their teeth straightened to achieve a healthier look as well as better oral hygiene. Studies suggest that having your teeth straightened leads to multiple health benefits, including improved cognition and lower stress levels. Below is a table explaining the differences between braces and Invisalign. The information below should only serve as a rough guide, additional information and costs can be supplied once you have your consultation. Traditionally metal – colours can vary depending on price. Braces remain on the patient for anywhere between 6 months to two years. Regular brushing required (as you would even without braces). Water pick is also advised. Invisalign has its own cleaning system: simply clean the trays in lukewarm water. Every month (for tightening/adjustments if needed). 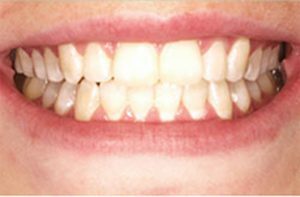 Aligner trays changed at 2-week intervals. Clinic visits advised every 4-6 weeks. Retainer and/or positioner (prescribed by your orthodontist) will be required. Retainer needed every night (in most cases – though, this will be discussed with your orthodontist). Far more effective for complex dental work. They’re constantly on – meaning you won’t forget to apply them daily (like Invisalign). Only upkeep required is brushing/flossing. Not fixed to your teeth (removable). No wires. Sometimes uncomfortable tightening or adjusting. Not as invasive as braces. Wires and brackets may sometimes cause minor discomfort. Eating may be difficult during the early stages (food getting caught in the braces). Discolouration of teeth may occur. Cannot wear Invisalign when eating or drinking (water is fine). Teeth must be brushed after each meal to avoid staining. Tooth movement may induce discomfort. Both braces and Invisalign treatments have their own benefits. Once you have your free consultation with one of our specialists, they will advise you on what treatment will best suit your situation. Both braces and Invisalign have seen fantastic results, though putting these results side-by-side would be inconclusive, as Invisalign has not been around long enough to determine accurate enough results. Straightening your teeth to improve your smile and oral health comes with a plethora of benefits, and while this is a positive factor to remember, it’s also of vital importance that you speak with a qualified orthodontist about your expectations. If you’re undecided on the best course of action regarding your teeth, our experts are always available to deliver certified advice. For a free consultation or additional information, please do not hesitate to get in touch on 01273 203514.